A perfect gift for coffee lovers in your life! This coffee cup is made from food grade silica gel and PP material. 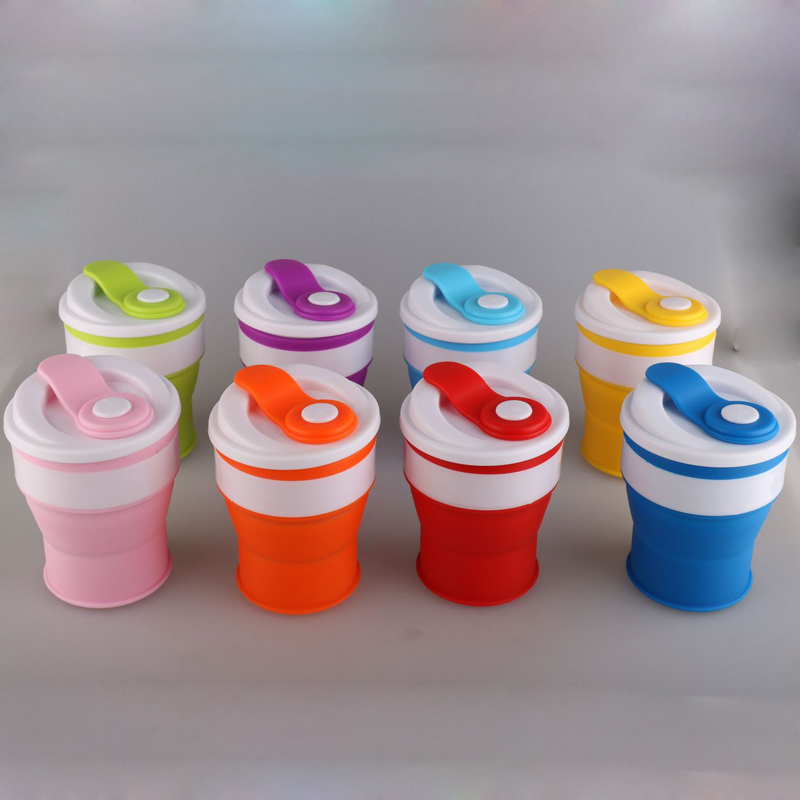 It is characterized by folding the body and a coordinated lid, boasting a compact and portable design. Use a strong lock cover to prevent leakage. Do not worry about the overflow of milk or coffee when reading. You can put something in the lid. It's great for indoor and outdoor use, such as household daily use, travel, camping, barbecue and other outdoor activities. Size is 417/32 "L x 311/32" W, reusable, say goodbye to the heavy, leaky disposable cup! When you finish your drink, fold, seal, stack and fold. Non toxic, healthy, no smell, wear resistance and fall resistance. This is safe for our health. Portable folding style won't take up so much space in your packaging. This will be a good promotional gift for your business! Welcome to send inquiry! Package: 1 pc/opp bag, 150 pcs/ctn, 40 lbs/ctn.